Congratulations are in order for ACS member Magdalene Odundo who has recently been bestowed with the title Professor Emerita of the University for the Creative Arts. Having studied at UCA in the 1970s, Odundo returned to the university to teach in the late 1990s. The appointment of the title celebrates her long-standing contribution to the university and her great success as an artist. The artist is exhibiting her largest artwork to date at the James Hockey Gallery at the UCA Farnham campus. Internationally renowned for her work as a ceramicist, Odundo has chosen to explore the media of glass for this latest installation. 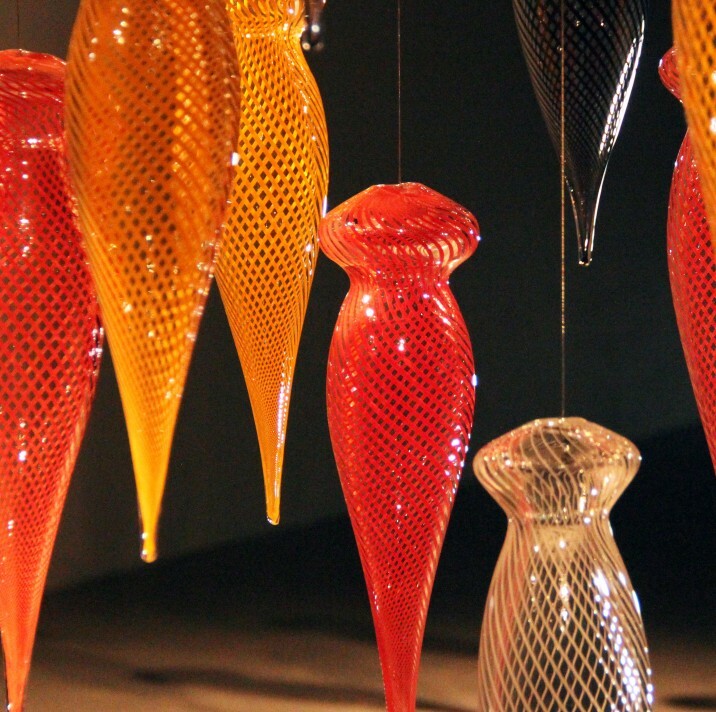 The artwork, entitled Transition II, is comprised of over 1,000 individually handmade glass vessels inspired by the art of ancient Egyptian clay and glass objects. This great expanse of glass is suspended from the ceiling in a large scale wave formation, evoking the flow of bodies of water such as the Nile.